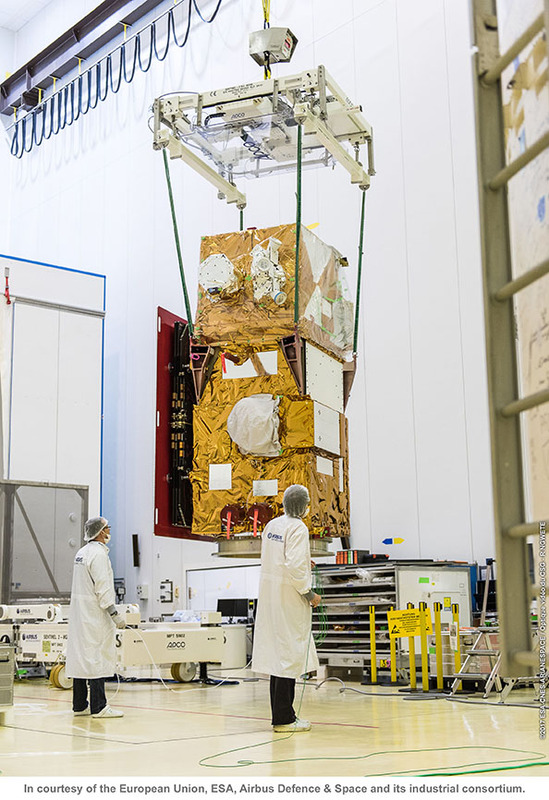 The Sentinel-2B satellite is now ready to be fuelled and has been moved to a different part of the launch site for this hazardous task. 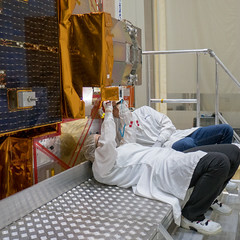 This involved lifting the satellite off its trolley and placing it within a ‘coffre charge utile’ – a kind of fairing that protects it during transport. It was then taken by truck from the S1B cleanroom across the site to the S3B cleanroom. In parallel, things are progressing rapidly at the launch pad. 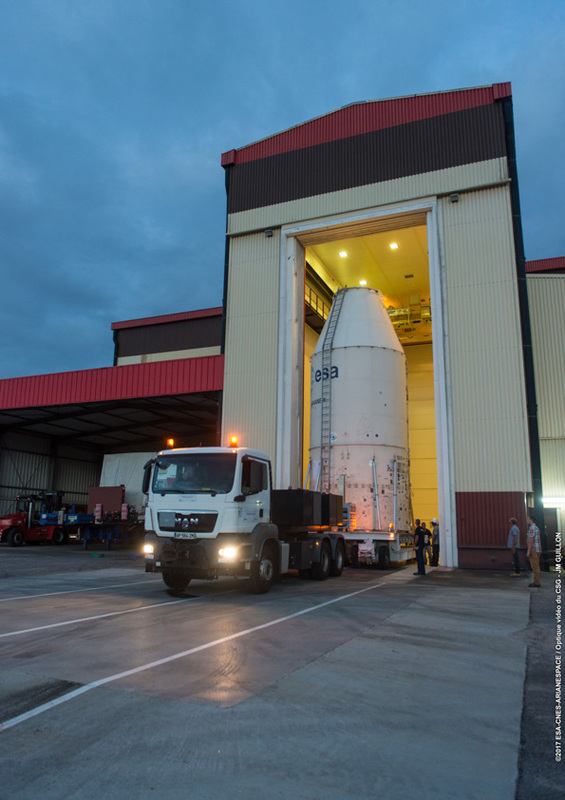 The Vega rocket third stage has arrived as has the AVUM upper stage. 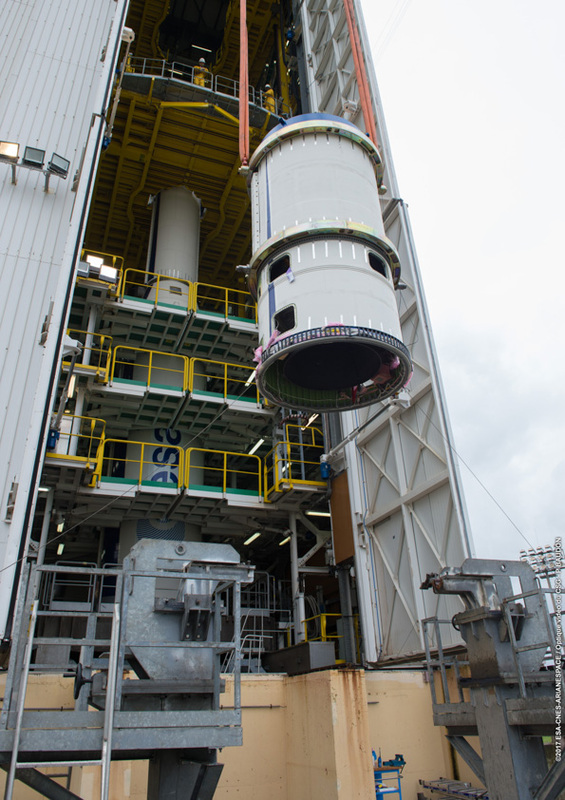 Both are now in position in the launch tower. The next step is to check all the electrical connections. Looking back at the weekend, some of the team from ESA and Airbus Defence and Space managed a trip out to the Kaw nature reserve. 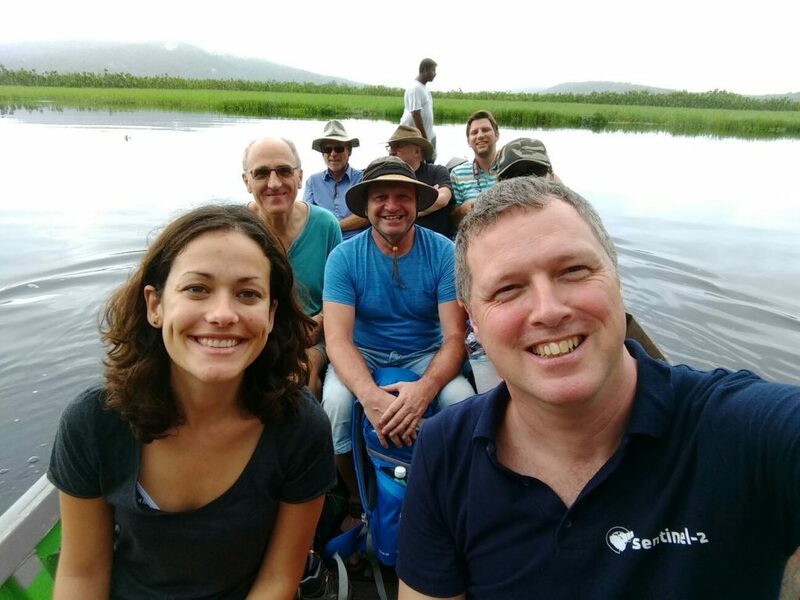 Edyta Rasta from ESA said, “We saw some fantastic flora and fauna in the beautiful marshland. We were lucky to see various types of birds, as well as few species of caimans. 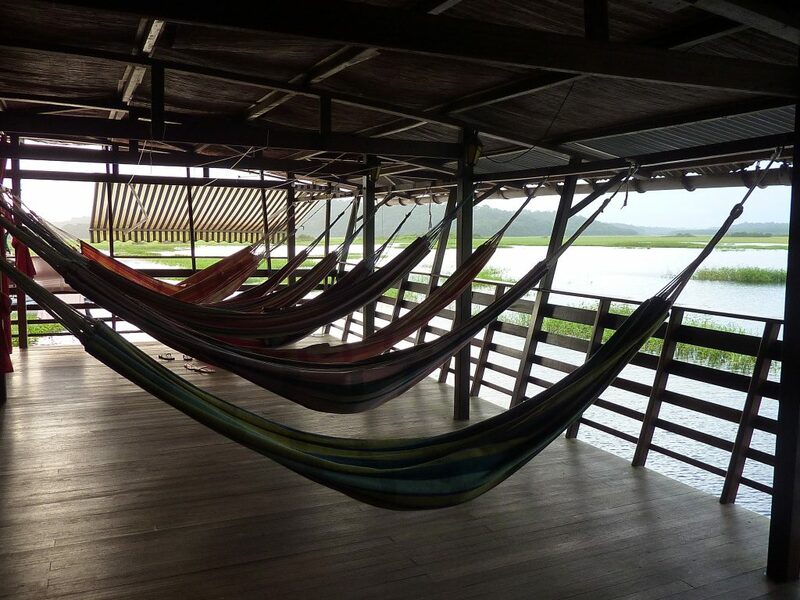 Some of the more adventurous of us spent the night sleeping in hammocks, the others in bunk beds – or rather trying to sleep as the wildlife was quite noisy at night ….and so were few of our snoring friends! 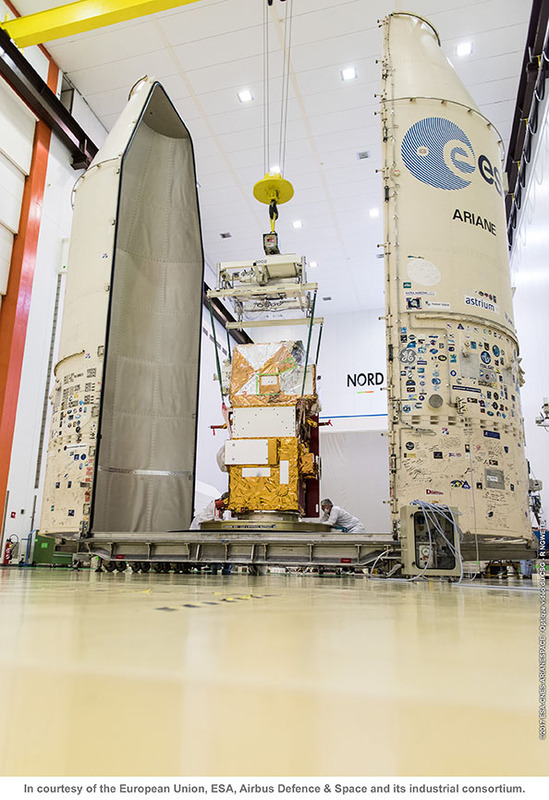 Liftoff is set for 7 March at 01:49 GMT (02:49 CET; 22:49 local time on 6 March). 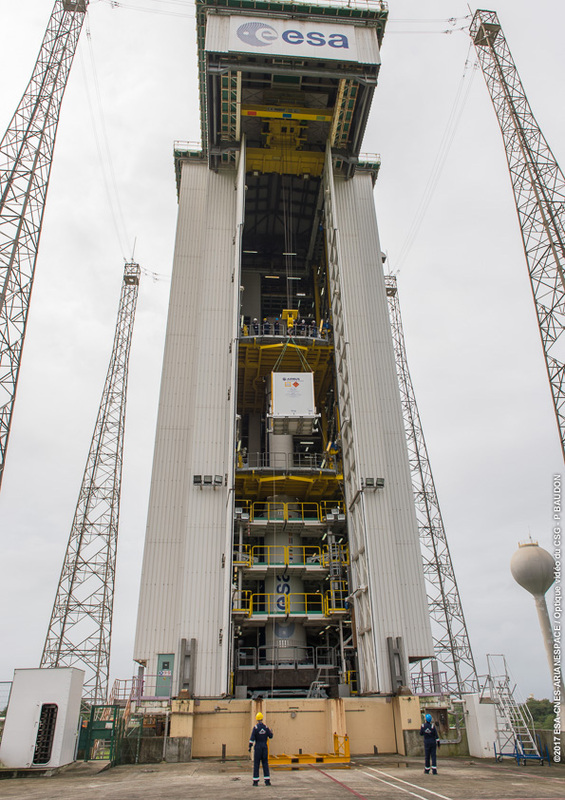 From the ESA launch campaign team in Kourou.